a validation telephone number for stakeholders. Clearly, this change is designed to streamline the process of issuing Grants and make the Probate Registry more efficient. Very soon, many of the processes that are required to issue Grants, such as the review of statements of truths, could be automated leading to further efficiency and digitisation of the probate process. If the process of obtaining the Grant is automated could the administration of estates be automated too? With indication that Blockchain is going to revolutionise ownership of assets there is no doubt that death has a digital future. Blockchain, which was originally designed to track the trading of cryptocurrencies, is a system of recording transactions and ownership of assets. It is secure, precise, and trusted, and hopefully will lead to fewer ownership disputes. It has given rise to smart contracts (where refunds or compensation are automatically paid if certain conditions are met) and the Land Registry is also exploring its use for recording transfers of property. My view is, if the Land Registry can record transfers of land using Blockchain surely other assets that belong to a deceased can also benefit from it. Upon notification of a death, ownership of cars, bank accounts, investments, and shares can be transferred to the beneficiaries of an estate as set out in the deceased’s will. The notification of death too could be automated so that once the Grant has issued the DVLA, banks, share registrars (and anyone else) would, again using automation, be notified of the death and would transfer the assets to the new owners. Any Inheritance Tax that is due on an estate could be automatically calculated with the liability transferred to HMRC automatically (and recorded using Blockchain). It could take, from an average time of 6 months, a couple of seconds to fully administer an individual’s estate. witnessed by two individuals who also sign the will. Smart Wills are, therefore, invalid under the current law. 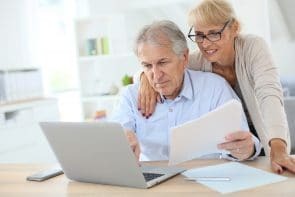 The possibility of updating the law surrounding wills was investigated by the Law Commission in 2017 and they are formulating policy to be released soon; under Australian Law, which is a similar Common Law jurisdiction, digital and informal wills can be valid. In Nichol v Nichol  QSC 220 an unsent text was found to be a valid form of will. Whilst the case promoted the use of digital wills it also raised significant concerns over the future ability to commit fraud, for example by submitting fake wills to the Probate Registry. It would be nearly impossible to accurately confirm the authenticity of a digital will or testator/will maker. This risk of fraud would substantially increase if Grants were issued automatically. c) claims of undue influence or lack of capacity on the part of the testator/will maker. Whilst there are clear benefits to automating the issuing of Grants, and incorporating technology (such as Blockchain) in the probate process, there are significant risks and obstacles that need to be addressed before we can consider of a fully digital probate process.